Have you ever tried the mirror stamping technique? If not, you should. This takes stamping to a different level and you can create really interesting backgrounds. I made a super simple card , for a friend of my nephew, using the mirror image stamp from So Suzy Stamps. This will work really well if you have a MISTI tool from My Sweet Petunia. You have to play with your stamps and inks to get the look that you want. I like the no line technique,but you can do just stamping. I have a video tutorial on my Youtube channel. Please feel free to check it out and keep an eye on my channel. More videos coming up soon. Thanks for stopping by! Have a great weekend and stay safe. 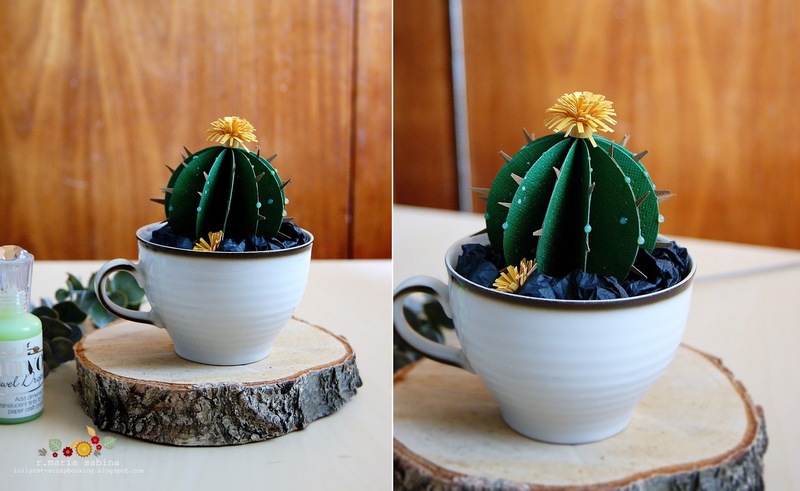 A while ago, I made a paper cactus, using Tonic Studios supplies.I really loved the final result and I thought it would be great to create a step by step tutorial. It is a great decoration, especially if you don't have time for real plants. You can read the step by step instructions over at Tonic Studios. 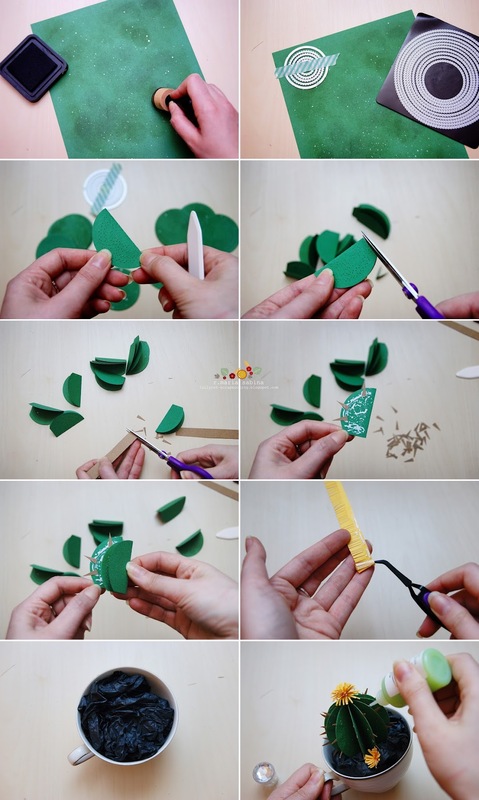 It is a great decoration and it can be made by using a few basic supplies. As papercrafter, I love working with dies. I always try to come up with new designs, because it would be pity to buy a die and use it for one thing only. If you like today's post and want to see more, please visit Tonic Studios . Also, you can find me on Instagram for updates. Sew Pretty – Pinhole Nesting Layering Circle Die Set – 524E. Circle Layering Die Set – 481E. I have to say that I like working with stencils. I have a few and one of them is this lovely butterfly stencil from Whimsy Stamps . You can use them with ink, texture paste, embossing powder and other mediums. For today's card, I used ink and glitter embossing powder. I love the result. Also, if you have the time and chance to take part of the wonderful Whimsy Stamps 2nd Annual Craft Retreat, please do it. I wish I could, but you will have so much fun with the crafty ladies and you will learn new things. More details over here. If you enjoy today's card and want to see more, please come again . For more inspiration , please visit Whimsy Stamps blog. Thanks for stopping by ! Take care and have a good day! I love when companies come together to create beautiful things. Is always great to discover new brands and designs. Today's cards are made by using the lovely stamps from Sugar Pea Designs along with the great stamping MISTI tool from My Sweet Petunia. I usually do the coloring with inktense pencils, but for some reason, I wanted to use markers to color these adorable monkeys. I must say, it was a great choice. I love the result. You can get the matching dies, but if you like doing the fussy cutting, go for it. I find it so relaxing. Maria Sabina YOU ARE HERE!!! 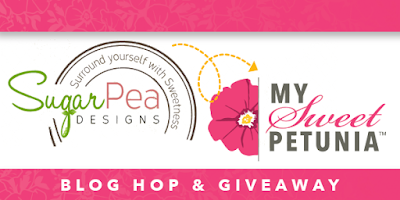 Win a MISTI of your choice from My Sweet Petunia or one of the two $25 gift certificates from Sugar Pea Designs . MISTI winner will be announced on this page and the Sugar Pea Designs winners will be announced over here on april 28th. Masculine cards are so difficult sometimes. The clean and simple look can be a bit complicated, because you always want to add a few more details. Pattern paper can be a bit too much, so I go with the stamping instead. I also like the vintage look. Today's card is a mix between royal and vintage look. You can't go wrong with stripes. You can use them in so many ways and I think the background works really great on this card. I used the MISTI tool from My Sweet Petunia and the Creative Corners to get everything in the right spot. This tool does a wonderful job and I love using it. I hope you get inspired to try new designs and why not, create some masculine cards. Thanks for stopping by! I hope you have a wonderful and sunny day. It's time for another Whimsy Stamps creation. Again, a very lovely design. I love their stamps,because they put a smile on my face. They may look childish to some crafters, but we need something cute in our daily life. If you want to see more designs from Whimsy Stamps, please visit their website and blog. This design has an asian vibe. Maybe is the outfit, which is so adorable. Or could be a chef....think of the possibilities. If you like today's card, please come again for new creations and inspiration. Thanks for stopping by and have a wonderful day! I like trying different styles and techniques. It's about time to share something different . I had so much fun working with the wonderful products from Tonic Studios. The NUVO collection is really amazing. The mousse, the embossing powder and so much more. You can check out their supplies over here. This card took some time to put it all together, but I love the result. This is the type of project I like to work on for hours, so probably not the best way to do it on camera. I hardly have a plan and I just add things , until I feel happy with the result. I hope you like it and if you do, please visit my blog again . If you have questions, let me know in the comments below. Have a wonderful day! I love mixing old and new stamps. Sometimes I even forget to use the super little stamps. I don't really keep up with all the new designs on the market and that's probably because of the small crafty space I have. I think this could be a positive thing and a great way to be creative, by using a few supplies. There is a must have tool in your crafty stash. The wonderful MISTI tool from My Sweet Petunia is well loved and I must say is a super practical tool. If you like stamping , this tool will save your time and supplies. If you want to see more of my work, please come again or follow my Instagram account. Have a wonderful day and thanks for stopping by! 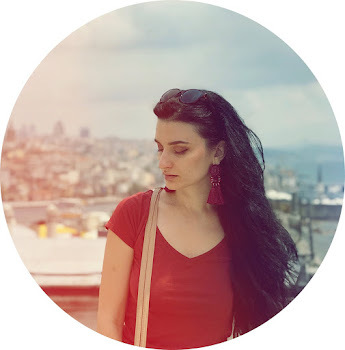 Who's ready for a new blog hop? This is a wonderful collaboration between Power Poppy and My Sweet Petunia. I feel so lucky to try out new designs and Power Poppy has a wonderful line of stamps. They are beautiful and unique. I like to combine pretty much any type of stamps. Look at the small details and you will find great ways to use them in your projects. Just because is a Christmas set, it doesn't mean you can use it only for that holiday. Think outside the box. The sentiment is actually from a Christmas set. I really like it and I think it would work just fine for any other special day. If you want to see how I made this card, please check out this video . 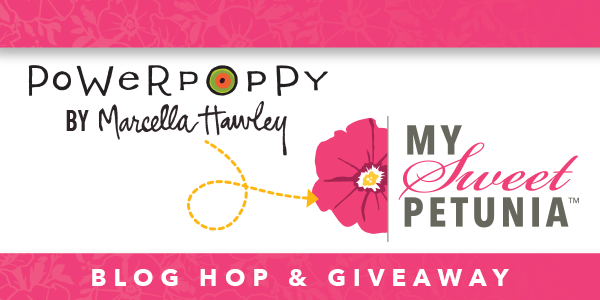 Win a MISTI tool from My Sweet Petunia or $25 gift certificate from Power Poppy. Check out the wonderful designers and leave a comment. Share some love and you will have the chance to win some goodies. I hope you are having a wonderful day. I have a new card to share and is a wonderful one, using Whimsy Stamps supplies. If you like owls and cute little animals, Whimsy Stamps has a beautiful collection and more to come. I like the look of this owl. Looks a bit grumpy, but I think it would make wonderful ''sorry'', ''I missed you '', etc...cards. I really enjoy taking my time when I do the coloring. These designs give a positive vibe and they are perfect for any crafter. You can find more inspiration from our wonderful design team over here .